Designed for individuals, organizations, governments and academic institutions around the world that need advanced mobile GIS capabilities in the field. Equip teams with a reliable offline map app for navigating remote areas without internet, network or satellite connections. Use it on smartphones and tablets. Import specialized, classified and proprietary georeferenced maps, then add critical information such as GPS tracks, symbols and photos using in-app data collection tools. Share up-to-date maps quickly as situations evolve for better response time and greater safety. Use drawing and measuring tools, navigation, customizable attributes and more to collect map data and easily export to GIS platforms. Avenza Maps Pro is used in situational training by businesses and governments, and as part of GIS curricula at academic institutions all over the world. Import and activate an unlimited number of digital maps in geospatial PDF, GeoPDF®, and GeoTIFF formats. Augment map data with shapefile support, drawing and measuring tools, location data collection and image plotting. Import and manage customized attribute schema, and symbol sets for use, within the app, on any digital map. Export maps and share data with your teams and ensure everyone has the most up-to-date information anytime they need it. Add, change and remove subscriptions remotely for multiple devices and device types. No need for physical access to devices. Get priority technical support from the Avenza Maps team by phone, email and web form. Also access our online support center. etc. 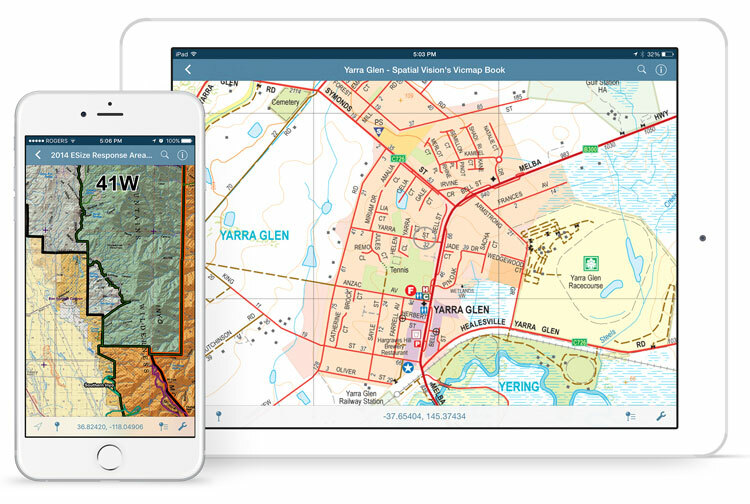 Avenza Maps Pro, including unlimited access to the Avenza Map Store's extensive catalog of digital maps, is available to all Department of Defense (DoD) and Intelligence Community (IC) personnel through the NGA's GEOINT App Store at no cost to the end user. Currently available on iOS only. GEOINT users can download and use any map from the Map Store at a no additional cost. A cost-effective solution to deploy Avenza Maps Pro to your entire team. The online subscription manager makes it easy to distribute and maintain licenses across multiple devices.